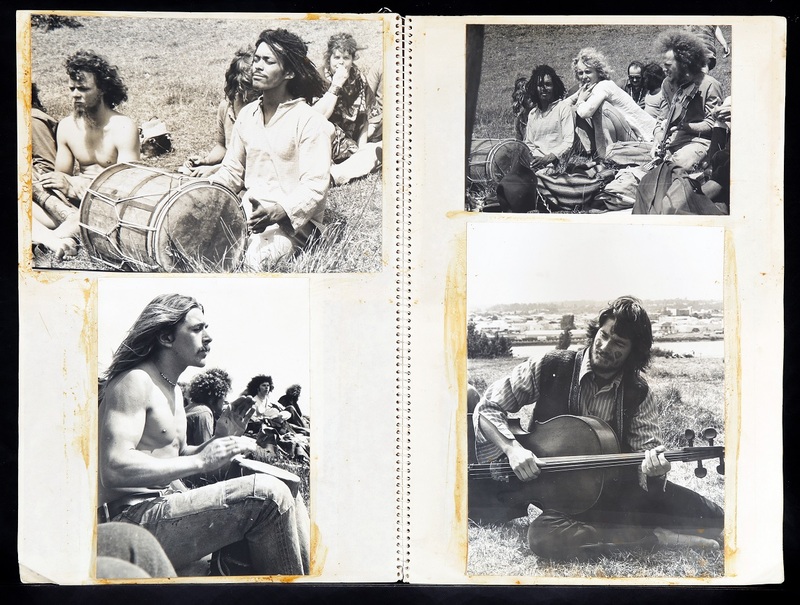 Flower power blossomed and boogied in a Putiki paddock and beyond at the beginning of summer, 1973 when the Serenity festival immersed Whanganui in four unforgettable days of music, theatre, art, yoga, and peace-loving celebration. 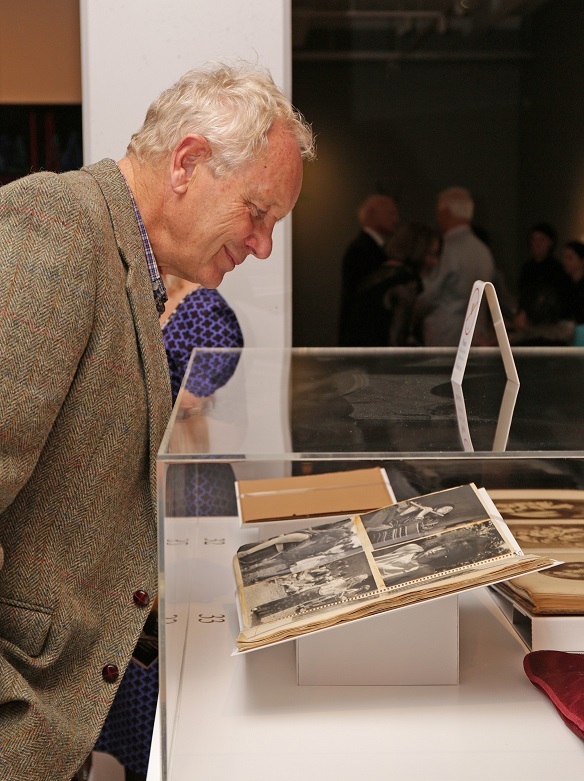 Two pages in a scrapbook of photographs taken at the festival are on show at the Sarjeant Gallery Te Whare O Rehua in the exhibition Revealed: collection discoveries from our recent move. One of the organizers of the festival was Whanganui local and international sculptor Hamish Horsley, who, at the time, was a bead wearing 22 year-old, with an Afro frizz of blonde curls, full of energy and ideas, and the capability and connections to make the festival happen. He took many of the photographs and compiled the scrapbook. 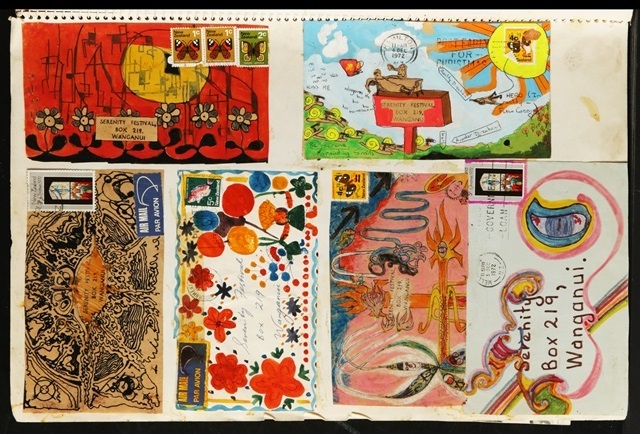 The music was avant-garde, headed by top band Blerta. 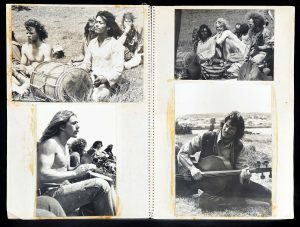 The “strange combination of people” included an indigenous Australian didgeridoo player and a South African drummer he had met in Adelaide, composer Jack Body, poets Sam Hunt and Hone Tuwhare, director George Webby and Downstage Theatre, several contemporary sculptors and, unusual in the 1970s, a yoga teacher and his devotees. The exhibition Revealed: collection discoveries from our recent move is on at Sarjeant on the Quay until 18th September 2016.